Here we will see how one legend of our world history can fit the Old World. Let’s use the tale of the tarasque as an example. 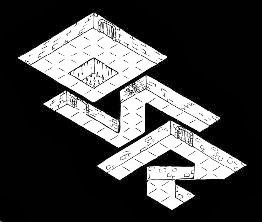 Dungeon and dragon used the same legend to create the famous and deadly Tarrasque that appeared already in the first edition in 1977. The real legend describes the tarasque as a river dragon with six short legs like bear, the body of an ox, the carapace of a turtle, the tail like a serpent ending with a scorpion’s sting. The head was like a lion with horse ears and a human face. The animal lair was in a swamp not far away from Avignon, south of France. The monster attacked anyone and anything traveling near to the river. The legend say that Saint Marthe tamed it but villagers slayed it after decades of suffering. Now let’s adapt it to the Old World. I think nothing should be changed about the look and behavior. The first part because it means that plenty of illustration can be used. The second part because the river of the old world are important in the setting. Anything that can disrupt travel fits 100% the setting. So now let’s find a proper place to locate it and a character to replace Saint Marthe. One easy solution would be to use the south of France reference and locate it for instance in Ferignac, Bretonia. Then we can say that Grail lady kill it centuries ago, but the beast reappears every 10 to 20 years. Each time, questing knights slay it for fame and honor. Japan, China and native Indian legends and monsters are great game material. Never hesitate to read legends from around the world. Take notes and rearrange the legend so that it fits your game. WFRP or any other. One great advantage is that you will find plenty of illustration to use as visual during the game. As a lazy game master I do that very often.